Welcome to the new account registration wizard! Your account will unlock many great features of this site and help make your cabinet buying experience more personal. With your account you will be able to submit sample requests and design requests. All information is solely used to process your order, sample request, or design request. None of your information will be used for any other purpose. You must be 18 years of age or older to use this site and or purchase from Wholesale Cabinets Warehouse. You are responsible for keeping your email address and password secure. Wholesale Cabinets Warehouse cannot and will not be liable for any loss or damage from your failure to maintain the security of your account and password. The accuracy of all measurements, sketches, drawings and etc provided to Wholesale Cabinets Warehouse are the sole responsibility of the buyer. Wholesale Cabinets Warehouse does not accept responsibility of any measurement related errors. The buyer is also responsible for approving the final design and item list. Cabinets missed in error on your drawing are not the liability of Wholesale Cabinets Warehouse. All orders will be shipped with our basic shipping and will be shipped within 2 to 4 business days of payment being received in full. All orders will be provided a tracking number to the customer account used to purchase the order. This will be available under the paid order itself. Please note that the tracking number will not be available until the order has been prepared for shipping. Basic shipping on orders under $2,000 will receive a shipping charge calculated based on the size and weight of the order through FreightQuote. All orders with in the continental U.S. and over $2,000 will receive free standard LTL or freight shipping. Shipping times will vary based on customer location and will normally take 5 to 7 business days for delivery once the order has been shipped. Assembly is only available for local customer, all orders are shipped as RTA (Ready to assemble cabinets come flat packed and unassembled. Each individual cabinet must be assembled). Free basic shipping is only available within the continental U.S.
Any damage to the order must be reported to Wholesale Cabinets Warehouse Inc. within 24 hours of delivery, failure to do so will negate the ability to claim it as having been damaged in shipping. Before signing off, make a notation for damage and/or shortage (if there are any) on the delivery receipt with a representative from the carrier present before accepting the order, but do not refuse the order. The freight carrier has acknowledged the receipt of the shipment from our facilities in good condition. By your acceptance of the shipment from the carrier on the delivery receipt, you acknowledge that the product has been delivered in good condition. We cannot be held responsible for loss or damage if you give the carrier a clean and clear receipt. All returns, refunds, and exchanges are subject to a 25% restocking fee and return shipping charges. If the product is being returned due to damage during shipping these fees are waived. This damage must be reported with in 5 days from receipt of the product and must be documented with photographs and noted on the delivery receipt. If cabinets have been assembled returns will not be accepted. Products that have incurred damage due to user error are replaced at the customers expense and will not be refunded under any circumstances. If cabinets have a manufacture defect Wholesale Cabinets Warehouse Inc. will only replace the parts that are defected and will not accept returns. All returns will need to be authorized by Wholesale Cabinets Warehouse prior to return shipment. For authorization please click here to send us an email request. Returns will not be accepted without prior authorization. We cannot accept returns on any pieces of trim (this includes all types of moulding, toe kick, and all plywood panels). All coupon codes include an expiration date. We do not issue open ended coupon codes. The expiration time is at 12:01 am eastern time on the date the coupon expires. If for example the coupon is set to expire on 12/31, at 12:01am eastern time on 12/31 the coupon will become invalid. The coupon code must be entered by the customer at the time of checkout. Failure to do so does not entitle the customer to a refund of the coupon discount amount after the sale. We cannot retro-actively apply coupon discounts for orders already placed. Wholesale Cabinets Warehouse reserves the right to use your information to collect on an unpaid order or improper billing information. Wholesale Cabinets Warehouse will not sell your information to any third party vendor and will not contact you for any other purpose than completion and processing of your order. Wholesale Cabinets Warehouse warrants to the original purchaser that cabinetry, door hinges, and drawer glides will be free from defects in material and workmanship under normal use and service. This warranty is not transferable and only applicable to product used for residential purposes. Representatives of Wholesale Cabinets Warehouse do not have the authority to change or enlarge this warranty. Wholesale Cabinets Warehouse, at our option, may elect to repair or replace with a functionally equivalent product covered by this warranty. Some replacement parts are subject to availability and may differ from original parts received. Return of defective product may be required for a replacement to be issued. Repair parts or replacement parts are at the expense of Wholesale Cabinets Warehouse but customer shall bear all other expenses. These expenses may include, but are not limited to, cost of removal and re-installation of product, labor expenses, etc. Warping of less than 1/4� is not considered a defect. Cabinet glass doors carry no guarantee against warping. 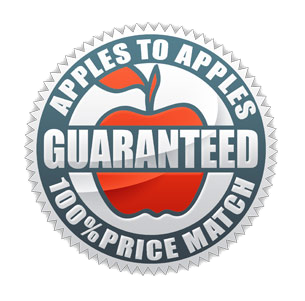 This guarantee does not apply to costs incurred after the product leaves our facility. The purchaser agrees to let doors that are warped 1/4� or more to hang for two seasons before replacement is requested. Typically a door will return to its normal flat position once it is acclimated to temperature and humidity conditions. Prior to requesting a replacement for a warped door, please be sure the door has been installed properly. To exercise this warranty, please contact Wholesale Cabinets Warehouse. Report in writing, all defects claimed (providing photographs if possible) and include proof of purchase documentation. I agree that I have read and understand all of the above policies.